PradaLove at first sight! That's the feeling you will get when you spot your favourite pair of Prada sunnies. 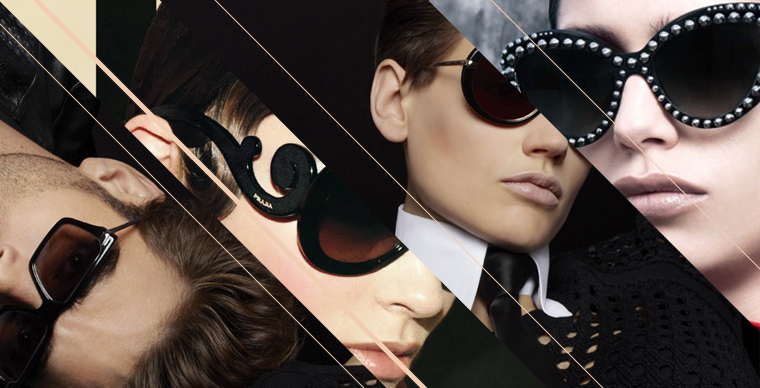 We have got an amazing range of the most beautiful eyewear you can imagine - from classic styles to those iconic swirly arms and the latest 2016 trends. Prada represents the best of Italian culture and style. It is one of the most innovative, prestigious and widely recognised brands in fashion, always deliciously cool and often setting new trends. This really is the time to be treating yourself to a pair of these luxury sunglasses or if you can't decide which pair why not start a collection of your own! Once you have selected a pair (or two) pop them in your basket and hurry along to the checkout. Select "Next Day Courier Delivery" if you really can't wait to wear them! !